FilRight Pro ABS+ is the perfect 3D printing material to create parts of professional-quality. We have modified this filament lightly so that both the material itself and the printed parts are particularly strong. ABS (Acrylonitrile Butadiene Styrene) is durable, lightweight and prints very easily. Therefore, this filament has long been hugely popular with avid users of 3D printers. FilRight Pro ABS+ is supplied on 750 grams spools and is available in many different colors in both 1.75 and 2.85 millimeters diameter. Due to the very small tolerance in diameter FilRight Pro ABS+ is suitable for almost all (FDM) 3D printers. Print in a well ventilated area! 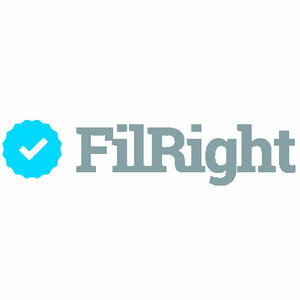 Want to know more about FilRight Pro ABS+? Please contact us.